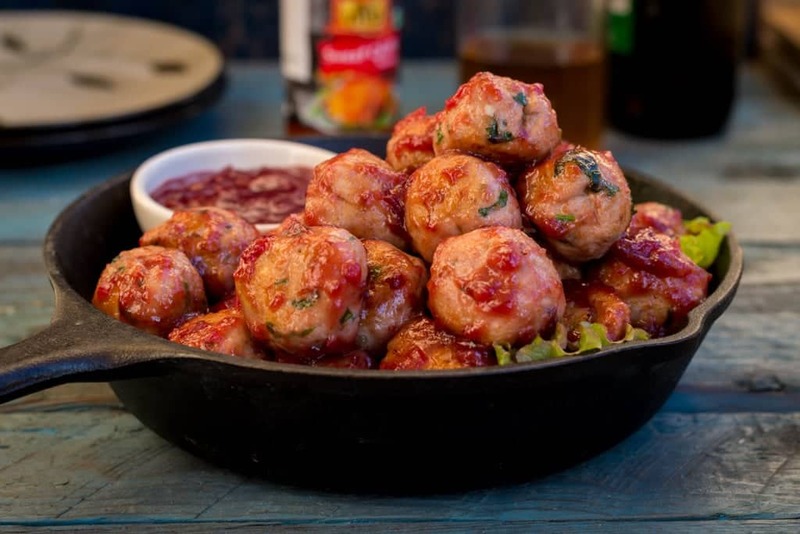 There can’t be a better time for this Chicken Meatball in plum sauce than this festive season. What I love about Christmas is that this festival is all about family,friends and food. So Christmas has grown over me in recent years .There is a host of delicacies made with a lot of love and have been part of for long. 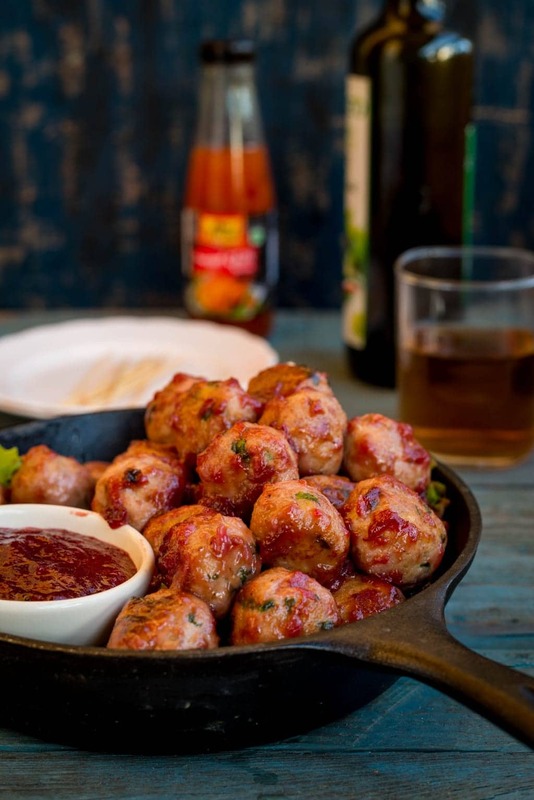 This sweet,Spicy and sticky chicken meatballs are perfect when you are planing a get together for a large crowd. The sauce and meatballs cane be prepared a day or two earlier. And toss it together just before serving. Slice plums in half and discard pits. Cut into small chunks. Place plums in a saucepan with garlic, onion, ginger, Vinegar,sugar,salt,chili sauce and chilli flakes(If using). Heat on medium for 20 minutes, stirring occasionally. The Plums will be soft. Blend well with an immersion blender to a smooth sauce like Consistancy. (Add 1-2 tbsp water if it is too thick). When the plums are cooking,Squeez any extra liquid from chicken mince. In a big bowl mix all the Ingridents mentioned for meatballs. Pinch small portions out of the mixture and make round smooth balls. Heat a larg pan on medium high heat. Add 1 tbsp oil. Transfer half of the meatballs to the pan.Let it brown well one side and don't disturb for 3 minutes. 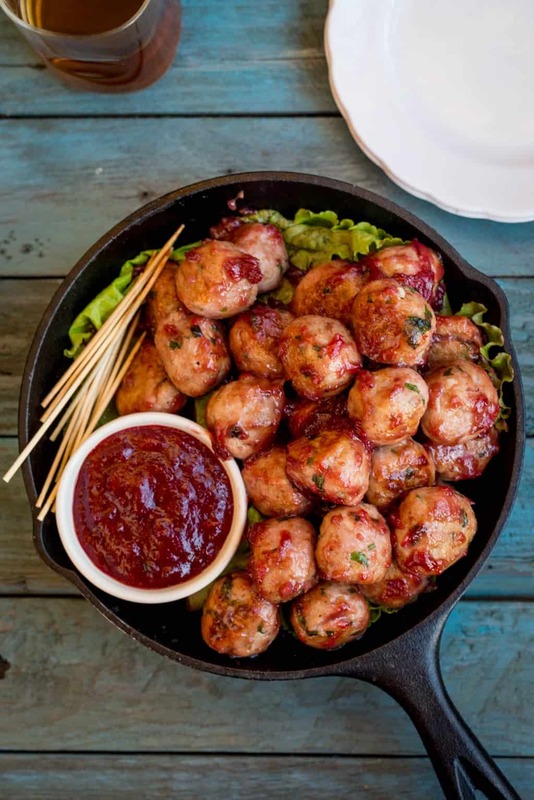 Once it is browned well on one side , turn and cook for 2 -3 minutes more.Repeat same steps for rest of the meatballs. Heat a large pan on medium-high heat. Add 1/2 tbsp oil. Add 3/4 of the preapred sauce to the pan. Add cooked chicken meat balls to it. Toss meat balls on high heat for 3-4 minutes till the sauce has thicken and the meatballs are nicely coated with the sauce. Sereve hot with reaming plum sauce.